Well – just like that, it’s over. For now. I am sitting in the Porter Lounge on Toronto Island, contemplating Chicago Marathon weekend 2015. So many memories … where to begin? 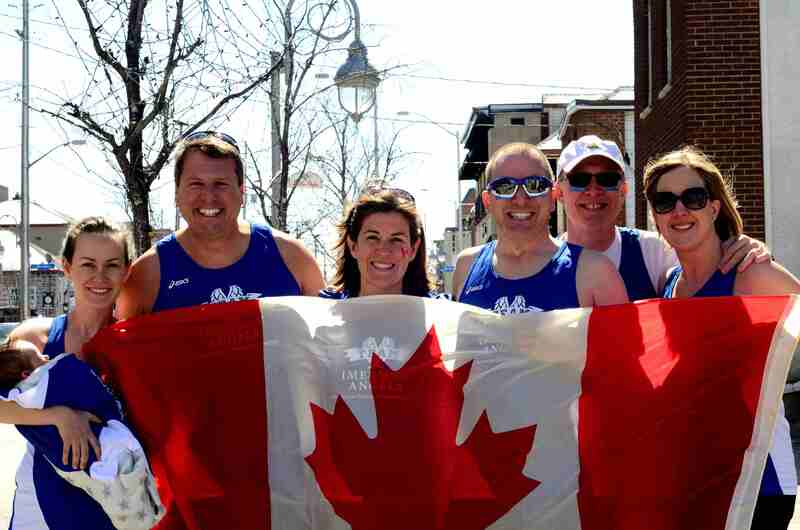 Probably last fall, when a fellow charity-centric Ottawa runner & triathlete, Brent Smyth, gently challenged a few of his friends to consider running the Chicago Marathon in 2015, to raise awareness/funds for his charity, Imerman Angels. Imerman Angels (“IA”) is a peer-mentoring service for cancer fighters and their caregivers. IA offers a free and important service, and it’s a pretty simple model: call IA; tell them what you are dealing with; and IA will find someone like you in their large & growing database of 7,000+ “Mentor Angels” – someone who knows what you are going through, because they have been through it too, and won. Pretty good cause, and Brent is a great guy. He’s setting up an IA chapter in Ottawa. So, after declaring “never again” after Ottawa Marathon 2014, I signed up … and the journey began for me, as well as for several others from the Ottawa running community, my brother Lee in Toronto, my co-worker Chris from California, and a few transplanted Canadians living in the US. Collectively we decided to call ourselves “Team Canada.” Our fundraising goal was modest, by charity-marathon standards: raise about $1,500 US each. In the spring, we started training together (at first, relatively short runs … by the end, very long ones!). This allowed some of us who didn’t know each other well to get a feel for the team vibe. We learned pretty quickly that we tend to surround ourselves with others like us: to a person, Team Canada was populated with dedicated and big-hearted runners. We held a comedy-night fundraiser in May, and did pretty well by it. We all knew that with a little work & coordination, and we could do some amazing things. 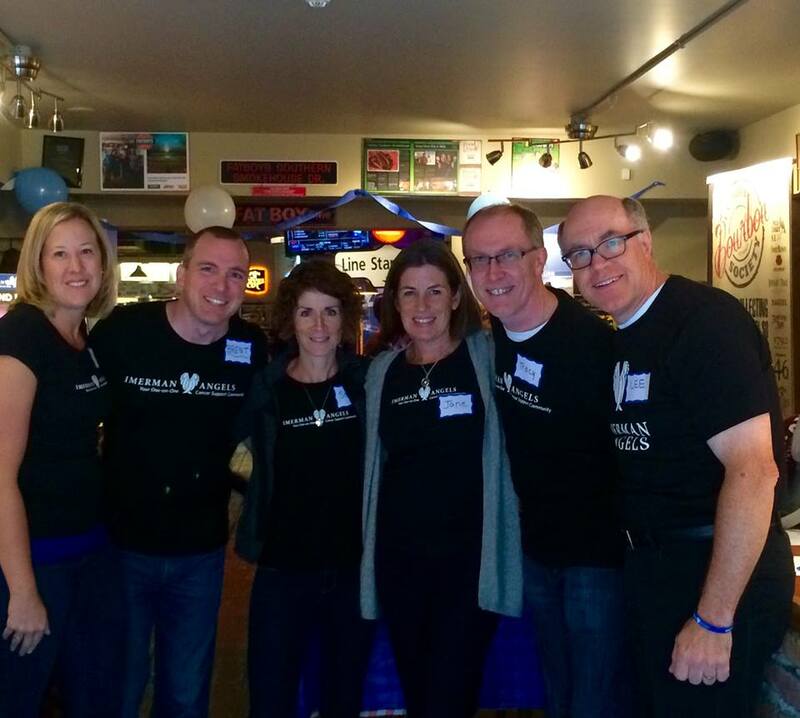 In September, we held a major fundraiser at Fatboys Southern Smokehouse on the Byward Market. Shawn and Jenny from Fatboys were incredibly kind to us, giving us the run of the place on a Friday night. Local band Running Naked were super generous, donating an evening of their time to the cause. We hoped to raise $2,000-$3,000 initially. The evening of the event, I guessed we might clear $4,000. Once it was all added up, we ended up making $6,000 for the charity that night. We are so blessed with family and friends who rally when asked. You are all AMAZING. There were definitely some bumps along the way: one of our runners was sidelined by a knee injury; and another by a broken toe. A third had family-illness issues that kept her from participating in the run (while missed at the event, she properly put priority on her baby & husband). 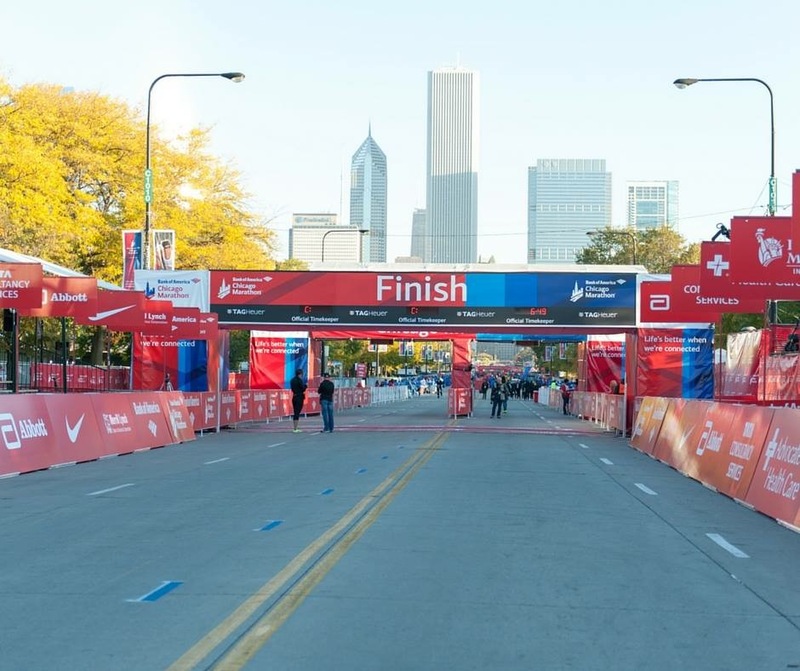 So – fast-forward to Chicago Marathon weekend! I was flying through Toronto via Porter Airlines, so I could meet my brother Lee. Unfortunately, Porter cancelled our Toronto-Chicago trip and the net-net of it was Lee had to buy an Air Canada flight (from another airport!) whereas Porter bumped me to a convenient flight … 13 hours later. So I landed in Chicago approximately 19 hours after I woke up on Oct 9 (note: Ottawa to Chicago is a 2-hour flight). Not an auspicious start! But Saturday changed all of that. On Saturday, we met up with the rest of Team Imerman Angels – over 200 runners who, like us, were training all summer & fall and raising money for the cause. Collectively Team Canada raised over $25,000 US for IA, and the greater team raised over $300,000 US. To put that into perspective: it costs IA approximately $350 per connection between a cancer fighter/caregiver and a peer. So our work this summer/fall created the possibility for over 850 Mentor Angel connections. Further, there was a butterfly effect: from our fundraiser at Fatboys, we had cancer survivors contact the charity to register on their Mentor Angel database; and a couple of local friends who were unaware of the service, took advantage of it for themselves or for a loved one. The Marathon itself was tough. It’s billed as very flat – and for the most part, it is. But it was VERY warm that day, and the Chicago Marathon is like two different races in one. The first 14 miles or so are AWESOME … through the downtown streets, with over a million (no joke – organizers estimate 1.7M) spectators screaming you on. But after mile 15, things change: suddenly there are few buildings and little shade. When it’s 23C in full sun (not a cloud in the sky) and you are in the back end of a marathon, that’s not good. And the spectators peter out as well, until you hit about mile 24. The last two miles are noisy and hectic, and could be exhilarating … but by that point, the runners were SO exhausted it was eerily like a Walking Dead kind of finish … lots of shuffling runners, a few folks on the ground, and many, MANY walkers. A further complication: in the first 10 miles or so of the race, GPS watches do not function properly due to the tall buildings. This means you run the first 40% of the marathon blind, as far as pacing goes. As a result, you can run too quickly regardless of your race plan, which is what many of us did. And you pay the price at the back end of the race for that. With 800m left in the run, I realized that I was going to be within 10-20 seconds of being under four hours for my time. I couldn’t let that go (I’m a bit of a Type-A runner) so despite the pain in my legs & feet, I cut loose and booted it. I came across the finish at 3:59:40 – just squeezing in under the dreaded four-hour marker. Listening to an IA participant who was to run with us Sunday, but could not because her cancer had recurred. And being so inspired by her courage, in the face of her situation. Which is to say: count your blessings, everyone. The spectators. I’ve run some big races in Toronto (spectators: meh); Ireland (energetic, but not huge numbers); and Ottawa (where I think we hit well above our weight in numbers and enthusiasm). But nothing compares with the energy that came off the crowd, especially in the first 14 miles and last 2 miles. They were INSANE. Thank you, Chicago! Speaking of which: Mid-Western friendliness and hospitality. Chicago – you effing ROCK. The beer at the finish line. Nothing like a cold Goose Island after 42.2km of hell on a hot day. The security guard who, seeing that I was in more than a wee bit of discomfort/pain, offered to carry me down the steps from the finishing area to Michigan Avenue. With a HUGE smile on his face he said, “Sir – I’ve got all day here, so why don’t you let me help you down those stairs.” So he put his arm around me and escorted me down the stairs. Being met at the hotel post-race by Jonny Imerman (himself a two-time cancer survivor and founder of Imerman Angels) with a beaming smile and huge hug. And Jonny then escorting me into a room of screaming Team IA volunteers, welcoming me into the after-party like I had just stepped off the space shuttle. The Team IA after-party. An incredible, positive energy-fest unlike anything I’ve ever experienced. Every runner was greeted by a wild crowd of screaming Team IA organizers and other runners. A must-do-again experience. But next year, I’d love for Bonnie and Reid come along. Seeing my brother Lee enter the after-party after finishing his first marathon, and shed a few tears. This is a guy who didn’t even run five years ago. Bro, I am so proud of you and impressed by your dedication and commitment (here’s a shot of Lee and I flanking Jonny Imerman). Brent Smyth – who got us all into this – tearing up every time he started to think about what we accomplished as a team this summer/fall. Brent, you are amazing. My sponsors: the 17 people who so generously contributed money to the charity, and in doing so supported my cause. You are the best. My wife and son. Bonnie and Reid: you put up with a lot, and yet still indulge my passion for running and charity fundraising. I am forever grateful. All of the incredible friendships I’ve brokered from this experience. In particular, the core crew who ran every weekend and did the deed in Chicago: Brent, Jane, Chris, Cathy, Mel, Sandy and Lee. You are an amazing crew and I am honoured and privileged to have served this cause with you this year. And … what about next year? Had you asked me on race day, the answer would have been NO WAY. Yet today, only one day later, Brent, Lee and I were talking about ideas for next year, to raise the bar. So watch out, Chicago – Team Canada is coming again next year!